The BMW Group’s view of the future. The BMW Group is celebrating its centenary under the motto “THE NEXT 100 YEARS”. Future orientation and adaptability have always defined the BMW Group’s identity as a company. Ever since it was founded in 1916, the BMW Group has played an important role in shaping the future of mobility. BMW Group’s VISION NEXT 100 VEHICLES. In the not-too-distant future, most vehicles will probably be completely self-driving – people will get around in robots on wheels. So, given these developments, how will we justify the existence of vehicles by BMW, a brand for whom the individual and Sheer Driving Pleasure are the focus of everything? And how will BMW’s brand values translate into the future? In developing the BMW VISION NEXT 100, the main objective was to create not an anonymous vehicle but one that is highly personalised and fully geared to meet the driver’s every need – because the very emotional connection between a BMW and its driver is something we want to retain. 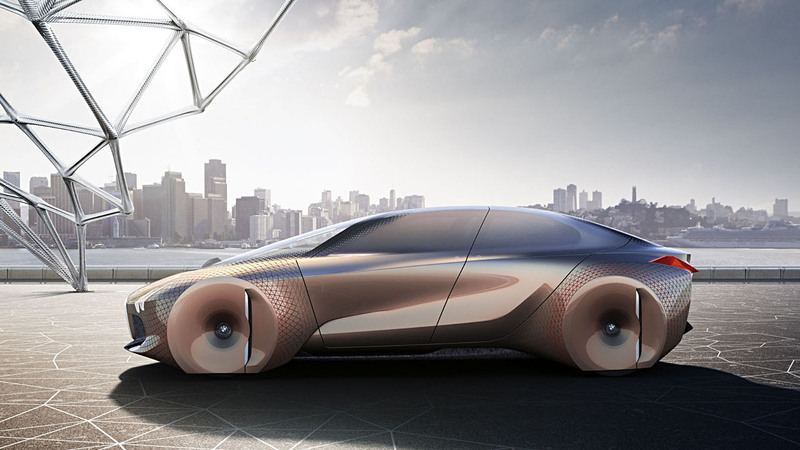 For the BMW VISION NEXT 100, the design team specifically took into account all the trends and technological developments that will be most relevant to BMW in the decades ahead. But they also took many of their cues from innovations and designs of the past. 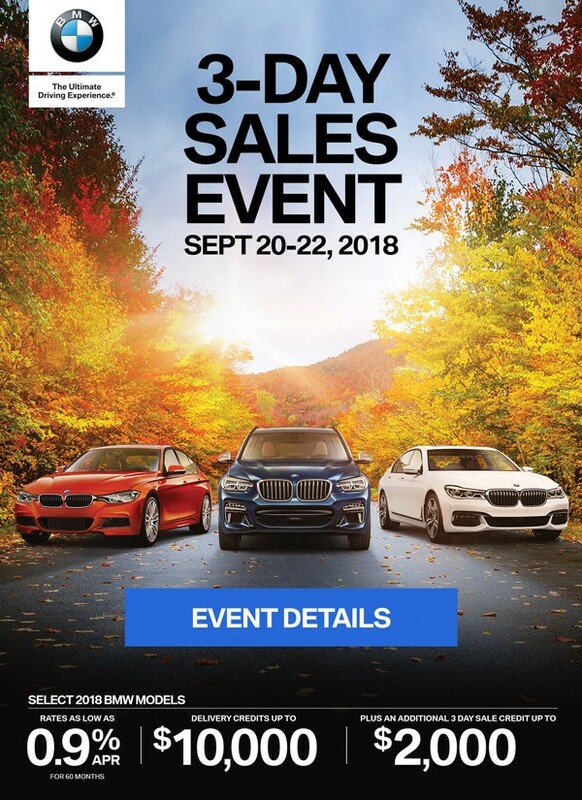 The key factor throughout, however, was something that has always been typical of the BMW brand: the desire to be uncompromising in its future focus on technologies and customer value. A genuine BMW is always driver-focused. BMW VISION NEXT 100 remains a genuine BMW, offering an intense experience of Sheer Driving Pleasure. Artificial intelligence and intuitive technology become one. Moving into the future, vehicles will be fully connected and digital technology will become so normal that it will permeate almost every area of our lives. Increasing digitisation will lead to the physical and digital worlds merging more and more. Artificial intelligence will learn from us, anticipating many of our wishes and working in the background to perform the jobs we delegate to it. The way humans and technologies interact will be transformed: screens and touchscreens will be replaced by more intuitive forms of human-machine communication and interaction. Better yet: technology will become more human. New materials open up breathtaking opportunities. In the future, how will cars be manufactured? At some point, presses that punch out hundreds of thousands of steel parts may well become obsolete – the use of carbon may already be a first indication of the sea-change that is imminent in the world of automotive materials and production. Technologies such as rapid manufacturing and 4D printing will produce not components or objects but intelligent, networked materials and could soon replace conventional tools to open up unimagined possibilities in design and engineering. Mobility will remain an emotional experience. Vehicles by BMW have never been purely utilitarian or merely a means of getting from one place to the next. Far more, a BMW is about looking to the next bend in the road, feeling the power of the engine and enjoying the sense of speed; it’s about the sensory experience, the adrenaline rush or that intimate moment at which a journey begins, be it for a lone driver or one travelling with a close friend or loved one. Moving into the future, that’s not set to change – because the emotional experience of mobility is firmly fixed in our collective corporate memory. By keeping the driver firmly in the foreground, the BMW VISION NEXT 100 will heighten this emotional experience in an unprecedented way. BMW VISION NEXT 100: A vehicle for future mobility. In the future, BMW drivers will still want to spend most of the time they are in their car at the wheel. In the BMW VISION NEXT 100, the driver will remain firmly in the focus, with constant connectivity, digital intelligence and state-of-the-art technologies available for support. But that’s not all: the BMW VISION NEXT 100 will turn the driver into the Ultimate Driver. So even though the world may well be changing, Sheer Driving Pleasure is here to stay – and will be more intense than ever before. In designing the BMW VISION NEXT 100, the starting point was the interior. In the years ahead, the driver’s wellbeing will become increasingly important and rather than merely feeling they are in a machine that drives itself, they should sense that they are sitting in one that was specifically designed for them. This idea gave rise to an architecture in which the interior appears extremely spacious given the overall size of the vehicle; the BMW VISION NEXT 100, of course, retains the instantly recognisable athletic silhouette of a BMW saloon. The design of the interior permits various modes of operation: Boost mode, in which the driver is at the controls, and Ease mode, in which the driver can sit back and let the vehicle take over. In Ease, the vehicle becomes a place of retreat with plenty of space, agreeable lighting and a comfortable atmosphere. In Boost, the driver takes over and benefits from the subtle and intuitive support offered by the vehicle. All the time, the vehicle is learning more and more about the person at the wheel, thanks to its sensory and digital intelligence which the BMW Group calls the Companion. The Companion progressively learns to offer the right kind of support to transform the driver into the Ultimate Driver. Alive Geometry consists of almost 800 moving triangles inside the cabin which are set into the instrument panel and into certain areas of the side panels. They work in three dimensions, communicating very directly with the driver through their movements, which are more like gestures than two-dimensional depictions on a display. Even the slightest peripheral movement is perceptible to the driver. In combination with the Head-Up display, Alive Geometry uniquely fuses the analogue with the digital. The triangles work in much the same way a flock of birds in controlled flight, their coordinated movements act as signals that are easily comprehensible to those inside the car. Combined with the Head-Up display, they involve the driver in a form of preconscious communication, where an intuitive signal predicts an imminent real-time event. Various approaches can already be seen today that appear to confirm the feasibility of this solution. Rapid prototyping and rapid manufacturing, for example, are gaining importance all the time and are expected to be commonplace 30 years from now, meaning that in the future it will become feasible to produce far more complex and flexible forms. This is why in the context of the BMW VISION NEXT 100, the BMW Group refers to 4D printing, a process which adds a fourth level to components: the functional one. In the years ahead, printed parts manufactured in this way will directly integrate functions which today have to be designed and produced separately before being incorporated into the whole. At the moment, the digital world is strongly linked to displays; the next step will be organic LEDs, in other words, displays that can be shaped and contoured. However the Vision Vehicle suggests there will at some point be no more displays at all. Instead the entire windscreen will serve as a giant display, directly in front of the driver. In the future the digital and physical worlds will merge, as shown with the example of the Alive Geometry and its interaction with the digital Head-Up display on the windscreen. Alive Geometry remains relevant throughout. In Boost, when the driver is concentrating fully on the road, Alive Geometry highlights the ideal driving line or possible turning point and warns of oncoming vehicles. Rather than making the driver drive faster, this kind of support sets out to make them drive noticeably better. In addition, intuitive feedback has a more physical and immediate impact than a robotic voice or instructions on a screen. In Ease mode, on the other hand, Alive Geometry is more discreet in its movements, informing occupants about the road ahead and any acceleration and braking manoeuvres that are about to happen. In Boost mode, the entire vehicle focuses on the driver, offering intelligent support to maximize the driving experience. The seat and steering wheel change position, and the centre console moves to become more strongly oriented toward the driver. As the journey proceeds, the driver can interact with the vehicle via gesture control. The contact analogue BMW Head-Up display of the future uses the entire windscreen to communicate with the driver. In Boost mode, it focuses exclusively on what really matters to the driver: information such as the ideal line, turning-point and speed. In addition, full connectivity, intelligent sensors and permanent data exchange allow the Head-Up display to generate a digital image of the vehicle’s surroundings. In foggy conditions, for example, this means the driver can benefit from information such as vehicles crossing ahead, before they actually come into sight. In addition, by learning more and more about the driver, the system continuously improves, concentrating on creating at all times the most intense and personal driving experience possible. The transition to Ease mode brings about a complete change of interior ambience. The steering wheel and centre console retract and the headrests move to one side to create a relaxed and welcoming atmosphere. The seats and door panels merge to form a single unit, allowing the driver and passengers to sit at a slight angle. This makes it easier for them to face each other and sit in a more relaxed position for easier communications. Meanwhile, the Head-Up display offers occupants personalised content along with the information and entertainment they desire. Whether the vehicle is in Boost or Ease mode is also clearly apparent to other road users as the trademark kidney grille, double headlights and L-shaped rear lights act as communication tool. Their different colours of light indicate which mode the vehicle is currently in. The Companion is symbolised by a small sculptural element which represents the driver-vehicle connection. Shaped like a large, cut gemstone, it is positioned in the centre of the dashboard, just beneath the windscreen, where it symbolises the intelligence, connectivity and availability of the BMW VISION NEXT 100. It also represents the constant exchange of data: the more it learns about the owner and their mobility habits, the smarter it becomes. At some stage it knows its drivers well enough to automatically perform routine tasks for them and offer suitable advice when needed. Irrespective of the vehicle itself, constant learning makes the Companion increasingly valuable to its owner. The design of the BMW Vision Vehicle is characterised by a blend of coupé-type sportiness and the dynamic elegance of a sedan. At 4.90 meters long and 1.37 meters high, it has compact exterior dimensions. Inside, however, it has the dimensions of a luxury BMW sedan. 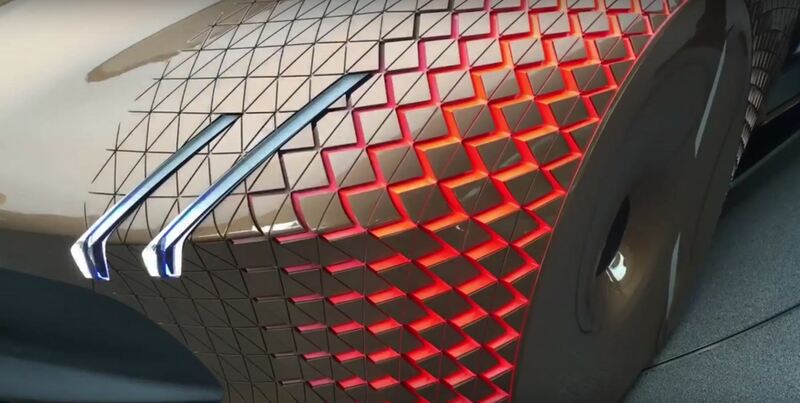 The exterior of the vehicle is copper in colour, designed to underscore the idea that BMW vehicles of the future should appear technical yet still have a warmth about them – as symbolised by the close links between the vehicle and its driver. With time, other new materials will also be added into the mix, allowing different vehicle shapes to emerge. To save resources and support more sustainable manufacturing, less use will be made of wood and leather while innovative materials and the consequent new possibilities in design and production gradually come to the fore. This approach is already being exemplified by the use of high-quality textiles and easily recyclable mono-materials and the elimination of leather in the interior of the BMW VISION NEXT 100.